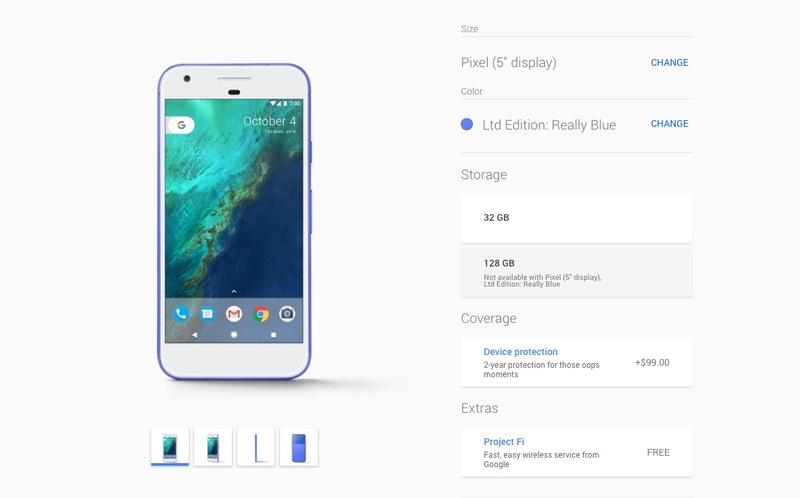 Did you miss out on the original batch of Google’s Pixel in limited edition Really Blue sold through the Google Store? I have good news! It’s back in stock. Of course, as was the case from day 1, the Really Blue model only comes with 32GB storage, so keep that in mind. Also, only the regular Pixel is back, not the Pixel XL. The device currently says it will ship by December 9. My guess is that Google expects stock of it again on or around that day. If so, you have to wonder if we’ll get a re-stock of other models too. Might be a nice Xmas surprise if Google were to put some XLs up for sale.